First time visit and truly enjoyed the staff that I interacted with, as well as Mr. Grayson. Great group of people! Best Dr. I've had for 20yrs! Maybe 30. Dr. Morrisroe is knowledgeable, patient and kind. He spends the time to answer my many questions to be sure I am comfortable with, and understand, any upcoming treatment plans. I just started seeing Mr. Grayson and so far I'm happy with his services. He's very direct with your care and concerned about your well being. I’m sooo lucky! My PC is here, they open at 7:30AM I had a terrible night with a UTI! The staff got me in at 8:45AM, I saw PA Grayson (he was my George Clooney!) he prescribed medication!! Also, the nurse!! I forgot her name ... when she found out I was using a Walgreens far away, she HELPED me find the closer one!! Thanks to everyone !!! I’m blessed!!! Dr. Morrisroe is very attentive and proactive. Everything went perfectly. There was no wait. I had to fill out a few forms but that’s normal. The doctor was on time and congenial and informative. 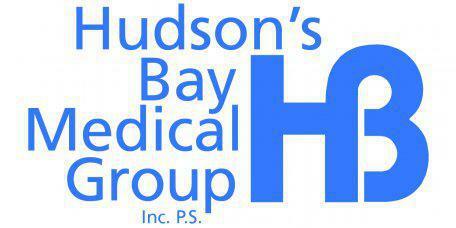 I really like Hudsons bay and I hope I am always able to use their services. Dr. Morrisroe is a great doctor and very good at what he does. Chaz Grayson is such a caring and considerate provider. Dr. Morrisroe is always prepared for my appointments, has time to discuss my concerns and useful advice for me. He is a top notch practitioner. His medical assistant is great, too. Very informative and good place to go. I have the utmost appreciation for the sincerity of Mr. Grayson’s concern for my well being. I have very complex medical needs and I couldn’t imagine facing them without Mr. Grayson in my corner. Highly recommended. Great first experience. Friendly atmosphere. The staff made me feel like they were actually concerned and cared. Doctor Grayson made me feel very welcomed. Thank you for the great experience. Dr Morrisroe has always been very attentive, never feel like he’s in a hurry, always asks is there anything else you’d like to discuss! The receptionist is always friendly and never have to wait long!! Very happy with them all!